When a child goes through a significant illness, there can be an unforeseen side effect that can last for years. 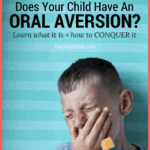 Learn why this happens and how to prevent it with your child. Eating wasn’t going great to begin with, but I was hopeful. He was only 8 months old after all, as an occupational therapist, I knew he had time. And then he got sick, really sick. Like go to the emergency room because he couldn’t stop throwing up sick. It took a week until he had fully recovered from the violent virus. I didn’t expect much when I finally got him back into his high chair, after all, his appetite might not be back yet. I persevered and day after day I’d put him back in his high chair and he’d gag when I tried to feed him anything but the crunchy little puffs. I finally had to face the fact that we weren’t in a good place with Isaac’s eating, and that things were going to get worse if I didn’t do something about it. While my son was 9 months old when this happened and he DID get through it and is a thriving 8 year old that has a wide variety of foods, that illness heightened some underlying eating issues he was already having and put us in a nearly desperate situation. Think about how you feel when you get sick. You don’t have an appetite and I’m sure you can think of times that you’ve been sick when foods tasted strange to you for weeks after you recovered. It’s not something we pay a whole lot of attention to because we’re adults and we push ourselves to get over it. But, kids don’t know any better. What they do know is that their stomach hurt the last time they ate, or that they still don’t feel much like eating. Kids don’t understand that they need to eat, and they won’t naturally force themselves to. They also may be scared of throwing up again. For some kids, this leads to avoiding eating. Shouldn’t They Just Bounce Back? 1. There was an underlying issue with food to begin with and the illness just heightened their “picky eating”. This is what happened with my son. He was sensitive to different textures, aka had sensory issues with food, before he got sick. I could see it was a problem, but it wasn’t extreme yet. After violently throwing up countless times, his sensitivities were more severe. 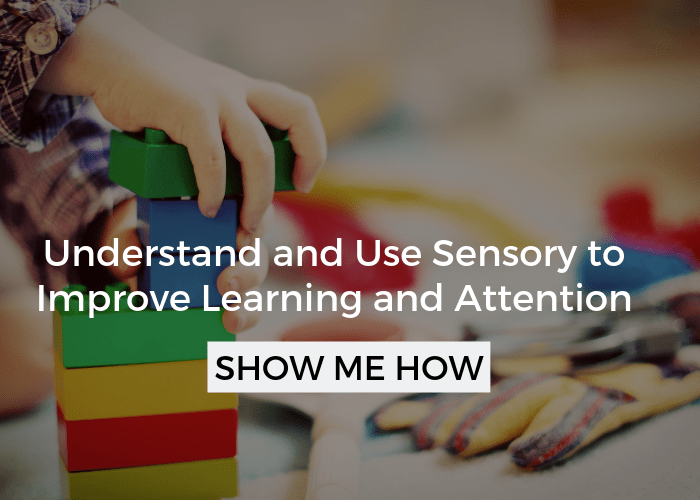 It’s particularly common for kids with sensory issues around food to struggle even more after an illness. 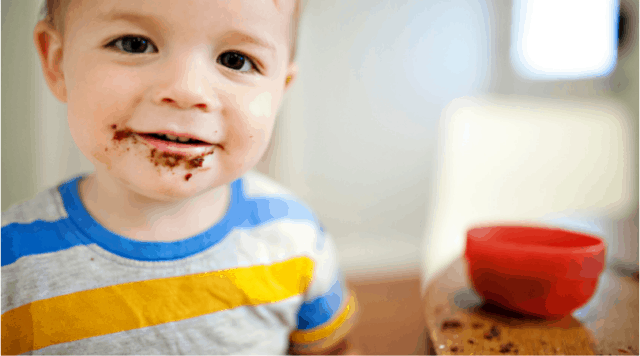 Check out 4 other reasons Why Kid’s Don’t Eat. 2. The illness was so severe with vomiting and no appetite that they have no desire to eat anymore. It’s almost like they’re emotionally scarred from the illness, but kids don’t really articulate that. For younger kids, this response seems to be happening on a subconscious level. Another complication is that when you have a sick kid you have to break every rule just to get them to eat and drink. You let them eat in bed or on the couch. You give them whatever they want, whenever you want. You beg, bribe, and plead for them to take the medicine. I have when my kids are really sick. It’s scary, and I wouldn’t encourage you to do anything else. When you’re child is really sick, you’re in crisis mode and you’ve got to do what you’ve got to do. The unfortunate outcome of that though is a messed up routine and eating habits once they’re feeling better. And, most kids will resist wanting to sit at the table again, or stopping the constant snacking. It will take some time to get most kids back into their old habits, usually weeks, and sometimes a month or two. Having said that, if your child isn’t super sick, try to hold onto your routine and feeding habits as much as possible, but always be ready to throw in the towel if needed. If you’re finding yourself post-sickness feeling frustrated that foods your child used to devour are now being tossed aside, know that you’re not alone. This is a common response. But, there are some steps you can use to get back on track. As I said before though, it’s so very important that you give it time. This isn’t the time when you want to throw in that towel. Once your kid is running around again, we think the flip is going to be switched and we desperately want that kid to get those calories on and re-gain any weight they lost, but that usually isn’t how it works. Kids are resilient and they’re eager to get back to playing, they’ll often use all their energy to do that. This is just a reminder to them that food is going to get back to normal. 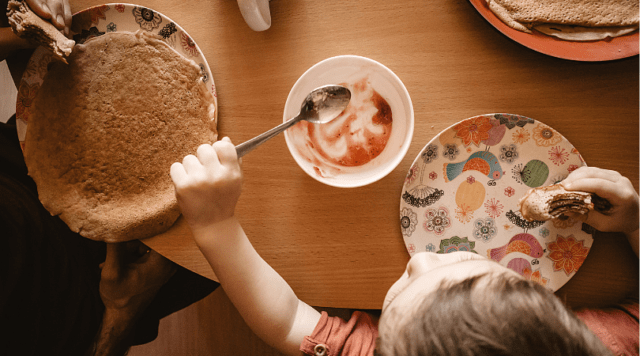 If you’re child normally eats at a table for meals, but has been eating on the couch or bed, bringing their food to the table as soon as they’re feeling a little better can help a lot with re-establishing the routine. Don’t expect them to stay long, but this is one rule that I’d really try to enforce as soon as they’re well enough. If you’re child is old enough to talk, ask them to pick a meal that everyone would enjoy. While they may not be able to articulate their current appetite, they’ll likely pick something that appeals to them. Since we can’t get a response from babies and young toddlers, another strategy that can also be used with older kids is to give them similar brands and types of food of what they’ve been eating while they were sick. So, if they were only eating toast, try a different brand of toast. Heck even just cutting it differently can help some kids start to accept new foods. 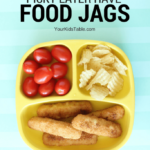 When kids are sick, we understandably don’t even give them other foods, but after the illness is over, go ahead and put a chicken nugget on their plate anyways. 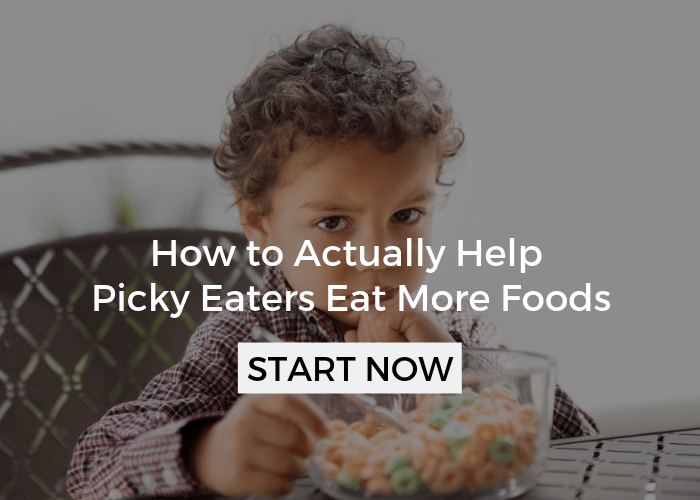 Avoid pressuring them to eat (read about why in this picky eating tip) and act like you don’t even notice it. If this was a food they used to eat, they’re likely to pick it up and give it a try again. Keep offering these foods at every meal. When kids get sick, we usually let them eat whenever they want and the habit can continue after the illness, but stopping the around the clock snack buffet can increase their appetite so they’re actually hungry when they sit down to eat. Telling your child you have a special job for them and having them help you in the kitchen can pique interest in food again as they interact with the foods in a non pressuring way. 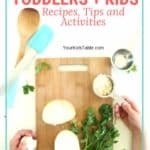 Get more ideas for how to have your kids help with cooking. Build Up That Immune System and Help Your Child Avoid Getting Sick! 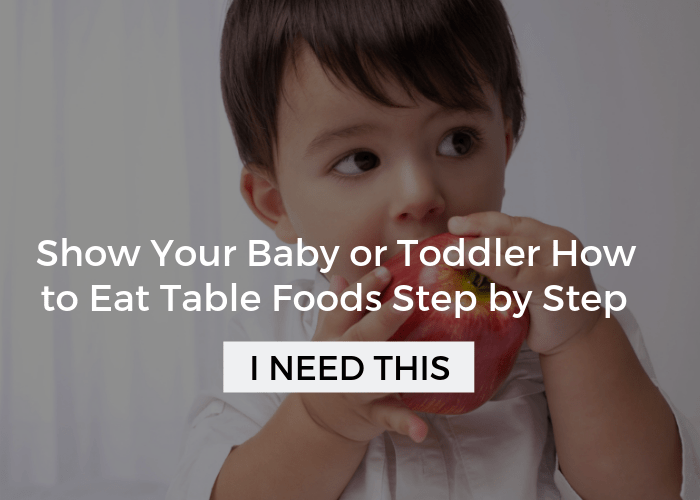 This step is above and beyond, and only to be used once your child has come back around with their eating. But, I love to be proactive and taking some steps to build their immune system with what they’re eating may help prevent or lessen that next virus. Head over to How to Strengthen Your Child’s Immune System to learn more. Got a Baby or Toddler That Never Got Over an Illness? 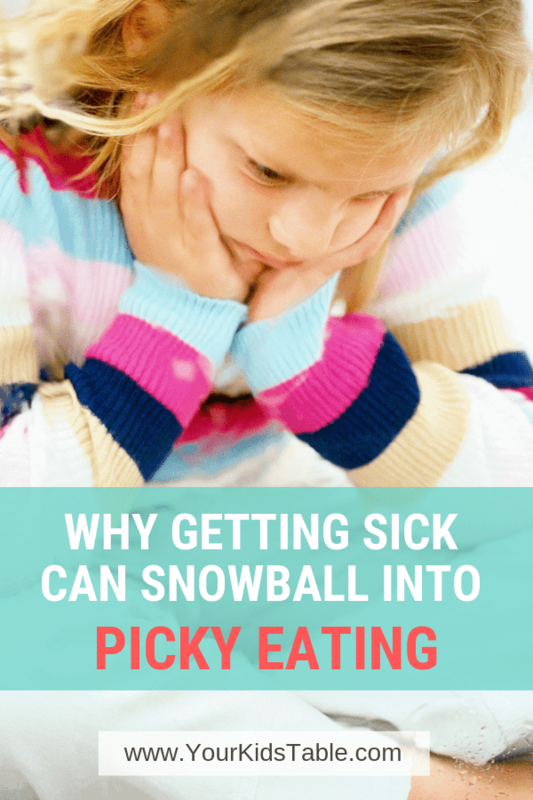 Over the years, I’ve worked with many kids that got sick and it was the beginning of a long saga of picky eating, stemming from the fact that they never fully learned how to eat table foods. There are often many layers to table food trouble and it later evolves into picky eating. 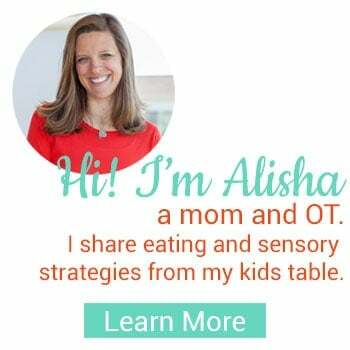 If you have a child that is 20 months or younger and you want them to learn how to eat a wide range of table foods, well then get on the early bird waitlist for my online class: Table Food School. 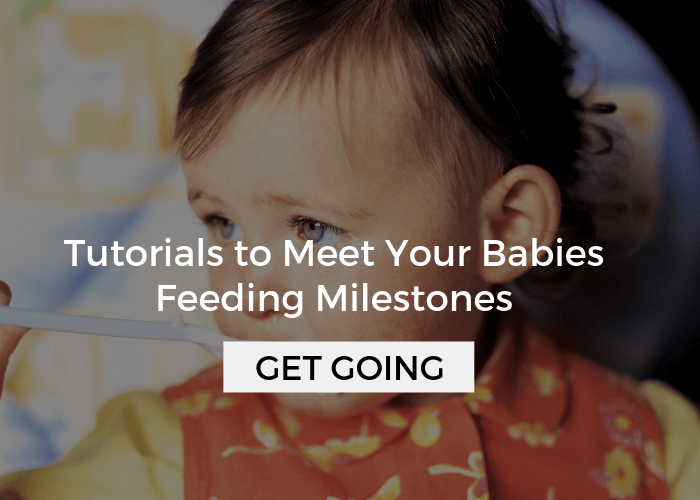 This class teaches you how to help your child overcome that seemingly impossible hurdle and get them eating more foods so they can grow and be nourished. *If you have an older child and need more help, head to my free picky eating workshop here.